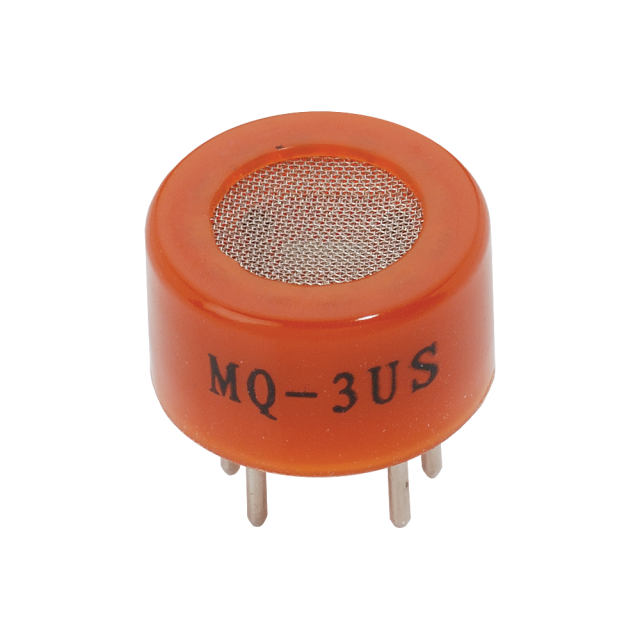 MQ-3 C2H5OH Gas Sensor Datasheet. Chemical information on Alcohol/Ethanol (C2H5OH). The C2H5OH Gas Sensor is used in gas detection equipment for detecting alcohol such as in a breath analyzer. When paired with our Gas Sensor Module it provides a development system and test platform for C2H5OH gas sensor design. Operating temp range: +14 to +122 °F (-10 to +50 °C). NOTE: Please refer to the manufacturer datasheet for more information and circuit recommendations.